Bel UK are over two years through their improvement journey with S A Partners, and have called this programme ‘BOOST’, and the intervention has been around Lean improvement and Strategy Deployment. In this video Michelle Bamford (Technical and Regulatory Manager at Fromageries Bel) and Esther Horsman (Head of Supply Chain at Fromageries Bel) briefly explains what the current state is, what implementation activities took place through this journey and some of the improvements gained. Jeff Williams, Global Business Development Director, Partner and head of the Food & Drink sector said: ‘this short video highlights the benefits gained by Bel UK of following an improvement journey with clear objectives set out at the start, which are measurable and delivered through our Programme Governance framework‘. 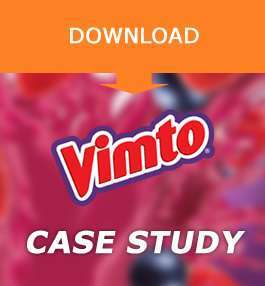 You can find out more about our systems and improvement offers by visiting our ‘Delivering Results‘ section, and also download a latest case study on Lean Business Improvement & Transformation at Vimto by clicking on the download case study image. To find out more please contact Jeff Williams or fill out the contact form on his bio page.